If you will be separating service from your company and are under age 59 ½, withdrawing money from your IRA account could expose you to a 10% penalty – on top of taxes you will owe. Unless you follow one of the IRS’ exceptions. Many CHEVRON employees participate in the Savings and Investment Plan – the company’s 401(k). Upon separation of service, one of the options you will have is rolling your 401(k) over into an IRA account. But if you are between the ages of 55 and 59 ½ and need to take withdrawals from your investments, leaving your account with Fidelity Investments may be a better choice. Th Age 55 Rule allows an employee who is laid off or retires early to access their 401(k) without penalty - provided that they separate service from their company and leave their funds in their 401(k). 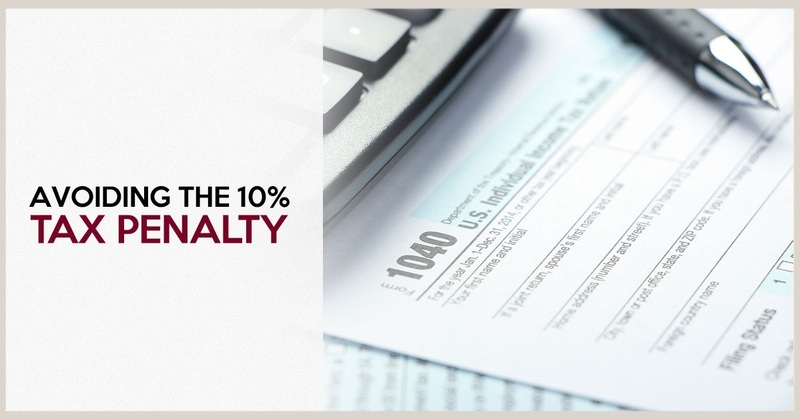 The Substantially Equal Series Periodic Payments (SEPP) is one of the exceptions granted by the IRS that could allow you to avoid the 10% penalty for withdrawals from an IRA before you are age 59 ½ if you follow a set of complex guidelines. Generally, the payment you will receive is based primarily on your life expectancy and the value of your IRA. You will need to take payments for at least five years or until you are age 59 ½ - whichever is longer. Need to know how much you can withdraw under the SEPP? Call or email me today. Please keep in mind that these rules can be complex and everybody’s situation is different. Before making a potentially irrevocable decision, please consult with a qualified professional who can outline the opportunities and pitfalls of each of these strategies. Our firm has assisted over 600 individuals retire from the oil and gas industry. If you would like to learn more about how we can help you prepare for retirement, please call me at (800) 236-9549, visit our website www.PetroPensions.com, or email me today. Our meetings are objective and confidential. 1 In addition to the options discussed, other options may be available including taking a full or partial cash withdrawal from the account or rolling the assets to a new employer's plan, if one is available and rollovers are permitted. Please review your options carefully and seek the advice from a qualified professional before making your decision.